Ditch your Birkin, dump that Prada......it's time to get with the program. 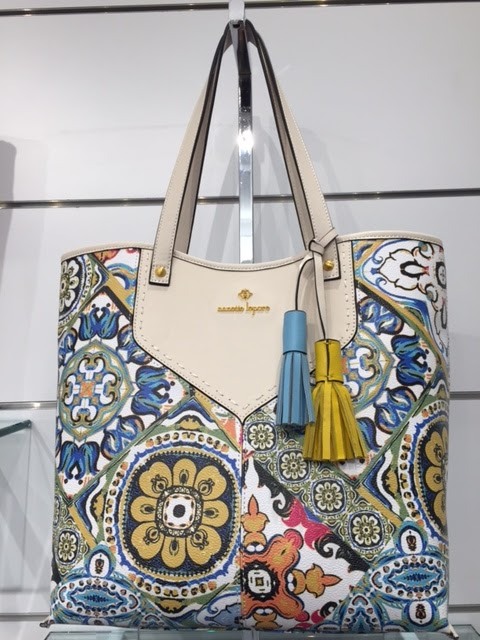 Switch to Nanette Lepore's debut spring handbag collection in major retailers in February 2016. With a 70's boho vibe, the collection includes a variety of silhouettes from to satchels to cross body, buckets, totes, etc. 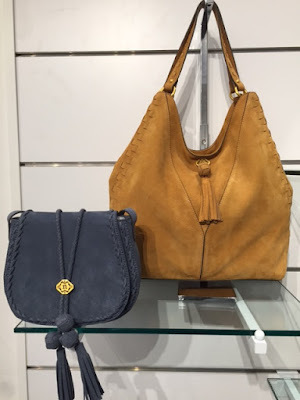 Besides the elegant signature gold hardware on supple leather and suede, the line features patchwork and applique detailing, fringe, tassels, saddle stitching etc. Pretty print linings add feminine appeal. All in all the different elements set Nanette Lepore's handbags apart from the rest. 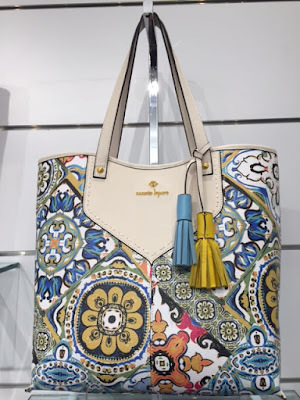 In 2016, Birkins will be so 2015... Nanette Lepore will see to it! Now with the money that you've saved, check out her brand new watch collection. PUT ASIDE YOUR CELL PHONE ! The days when everyone owned one fine watch are over......today every fashionista owns a wardrobe of watches. If you want to keep your arms free for all those bracelets, I recommend that you buy the pendant watch dangling from a long gold tone chain from Nanette's lower priced diffusion line. From Nanette's designer range (still very affordable) the sporty chic watch with it's double wrapped leather band offers the look of Hermes . Stay tuned for more fashion updates from Nanette Lepore's growing lifestyle brand.